Delicate florals bloom on this long-sleeve silk top. Delicate florals bloom on this long-sleeve silk top. 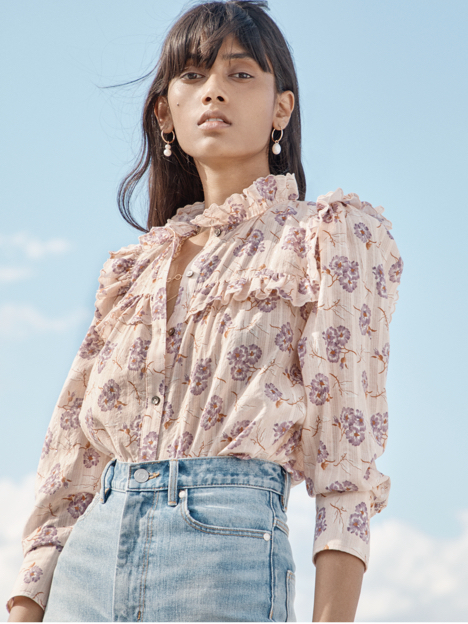 Cast in muted tones and finished with ties at each shoulder, this effortless top will mix and match with skirts or denim.